New Jersey Life April 2004 in an article entitled "In a Fix," ... NJL highlights 25 of the finest 'repairmen' in the state. "Artisans of the Valley - Local museums and historical sites call on these craftsmen to conserve important pieces and create period furnishings." "Since I can make the furniture from scratch ..."
In addition to furniture reproduction, Artisans performs conservation work on antiques, homes, military relics, and other antiques. The knowledge required to restore a fine piece of furniture or create a hand made tool also applies to restoring firearms, swords, and leather. Although not staffed to restore complete homes or buildings, Artisan's offers consultation services to architects, contractors, and curators. We will provide direct support and instruction, as well as restoration services for specific items. Artisans of the Valley is now offering a reward of two bones to any dog that earns us a restoration project of $200 or more. 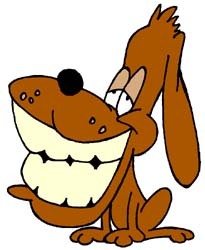 In addition, we will compensate all participating dogs for time served in a kennels or pens as a result of their chewing actions. In the event a dogs owner begins to reject their pet for such actions, we will assist you asylum or placement into an appropriate animal protection program. Antique Conservation - The concepts of conservation, restoration, repair, and refinishing. Conservation Documentaries - Examples of our photo illustrated project specific conservation projects. Cleaning & Scratch Repair - Proper care of your antiques and reproductions. Parts & Veneer - Structural parts replacement and veneer repair. Restoration Gallery - Gallery of Before & After and Pieces Restored by Artisans of the Valley. Antiques continue to grow in popularity through the turn of the 21st Century. This popularity drastically increases values making proper maintenance and restoration services critical. 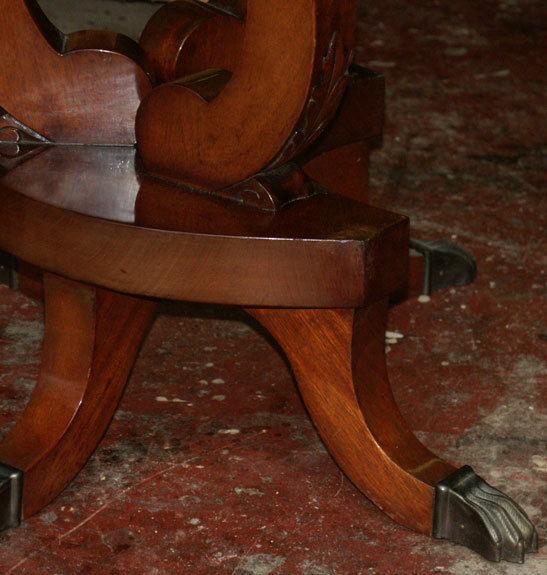 The value of an antique is substantially reduced if there are missing pieces such as carvings, feet, toes, or moldings. Artisans offers restoration and conservation services ensuring that a repairs are blended into the patina of the existing finish, returning a significant percentage of the mint condition value of the piece. With the option of museum quality repairs, even damaged pieces become desirable. If you have a damaged antique, or the opportunity to purchase one at a significant discount, it may be worth purchasing and restoring. Artisans offers consultation services to antique dealers, owners, and auctions; we will evaluate any piece for purchase, sale, or replacement estimates. "Let the record show Antiques Roadshow generally agrees with this notion: Well-conceived and well-executed refinishing and restoration usually enhances the value of just about any piece of old furniture. Exceptions are rare (usually museum quality pieces) that have somehow survived in great 'original condition'. If we say or imply the contrary we should be called on it.". 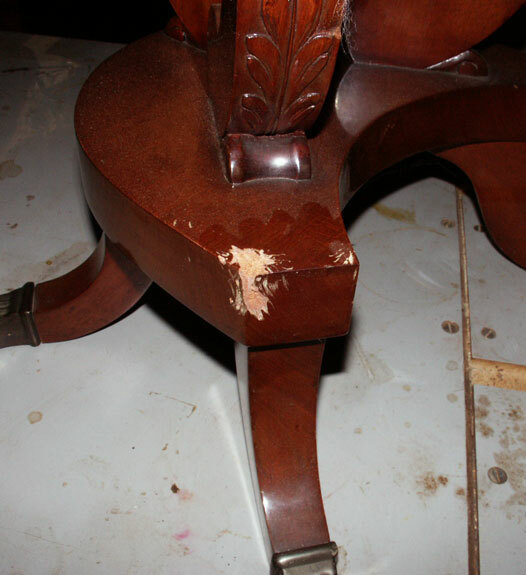 He goes on to say, "...most furniture has been well used (even abused), scratched, broken, and often repaired many times. 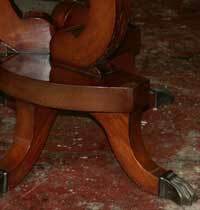 How could such furniture not be improved by a good job of refinishing or restoring?" We should also warn you, we're known for sometimes-brutal honesty in our evaluations. We will tell you if a piece is barely worth its weight as firewood, or if you have a true antique. If nothing else, you'll know that a $500 investment still won't turn your yard-sale special into more than $5 piece of used furniture. This in mind, we're happy to restore a piece for only sentimental value. An investment in preserving heirlooms of no value to anyone by you and your family provides perhaps more of a return than any financial gain can offer. We've seen very happy parents and grandparents, amazed their hand-down furniture takes on a new life in a new generation. Scenarios of course continue, and we'll happily inform you that replacing a broken ball and claw foot on a Golden Oak table may take the value from $500 to $2,500 for around a $500 investment. Stanley and Eric recently coauthored this article on their restoration philosophy. We believe it is important for all our customers understand our philosophy prior to commissioning restoration work, so we ask each of our clients to take few moments to read our thoughts on the subject.